When dealing with performance, it’s hard to remember all the tools that might help you out during development. For that purpose, we’ve compiled a list of 23 performance tools for your reference. Some you’ll have heard of, others probably not. Some have been covered in detail in our performance month, others are yet to be covered future articles; but all are very useful and should be part of your arsenal. Google’s Test My Site is an online tool offered by Google and powered by the popular website performance tool WebPageTest.org. You can either visualize your report on site or have it emailed to you via your email address. 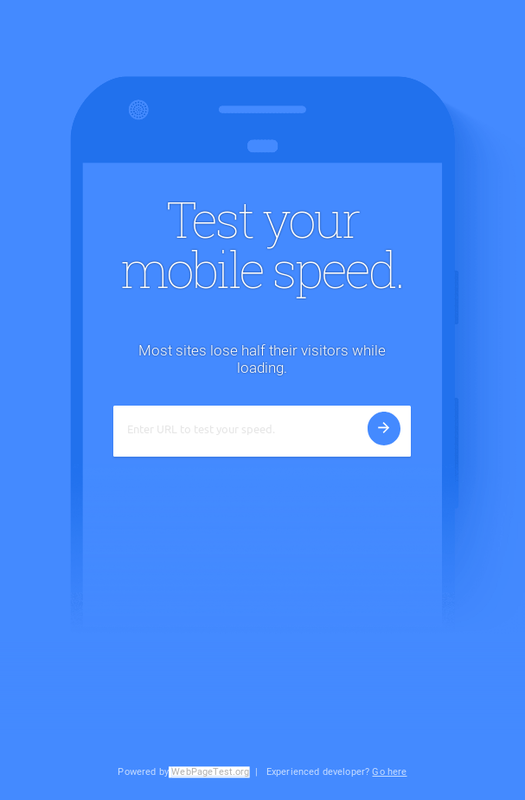 gives you top fixes that can help you speed up your website loading time. 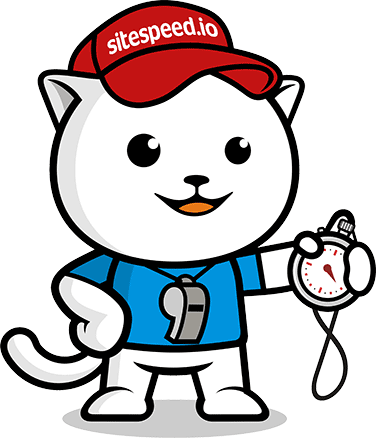 SiteSpeed.io is an open-source tool — or a set of tools — that can help you measure your website performance and improve it. 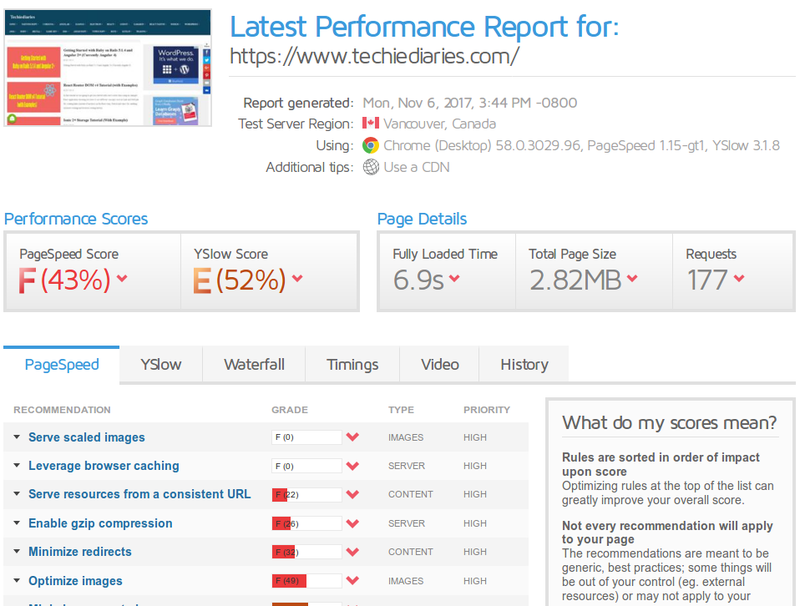 Coach: gives you performance advice and fixes for your website based on best practices. Browsertime: collects metrics and HAR files from your browser. Chrome-HAR: helps you compare HAR files. 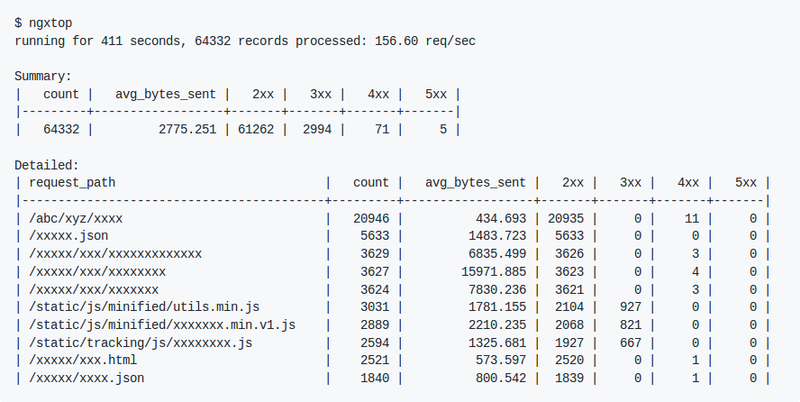 PageXray: extracts different metrics (from HAR files) such as size, number of requests, and so on. Lighthouse is an open-source tool for running audits to improve web page quality. It’s integrated into Chrome’s DevTools and can be also installed as a Chrome extension or CLI-based tool. It’s an indispensable tool for measuring, debugging and improving the performance of modern, client-side apps (particularity PWAs). You can find the extension from the Chrome Web Store. You can use Lighthouse programmatically to build your own performance tool or for continuous integration. treo: Lighthouse as a service with a personal free plan. 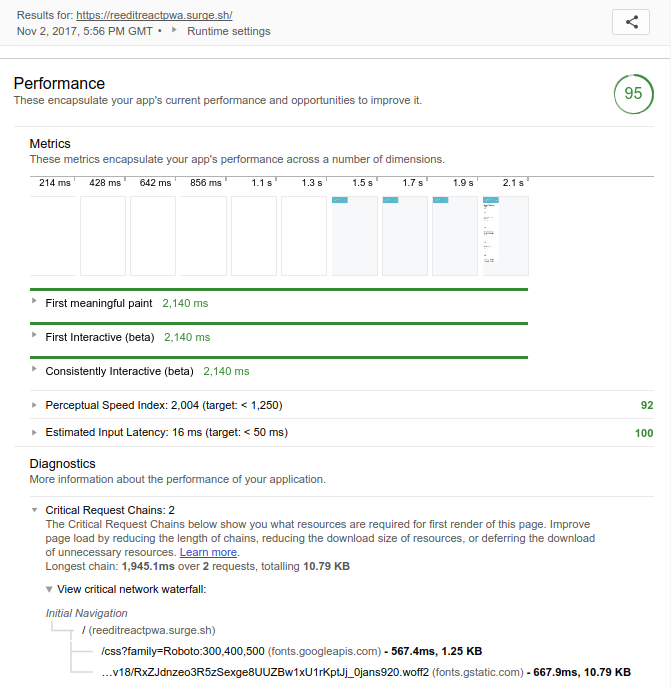 calibreapp: a paid service, based on Lighthouse, that helps you track, understand and improve performance metrics using real Google Chrome instances. lighthouse-cron: a module which can help you track your Lighthouse scores and metrics overtime. We’ve got an in-depth look at Lighthouse in our PWA performance month post. 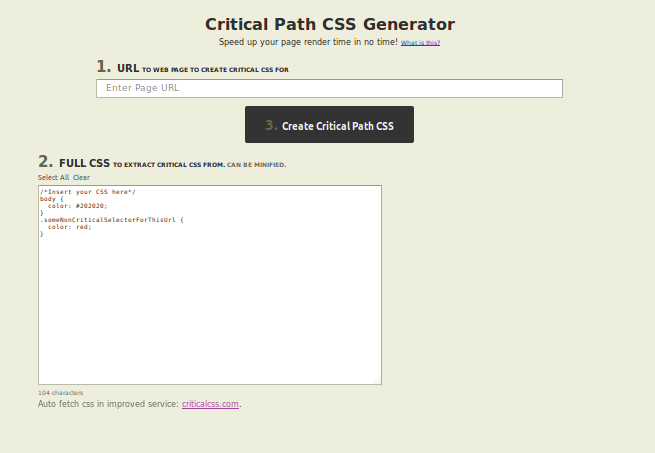 You can use Lightcrawler to crawl your website then run each page found through Lighthouse. You can install YSlow by dragging and dropping the bookmarklet to your browser’s bookmark bar. Find more information here. 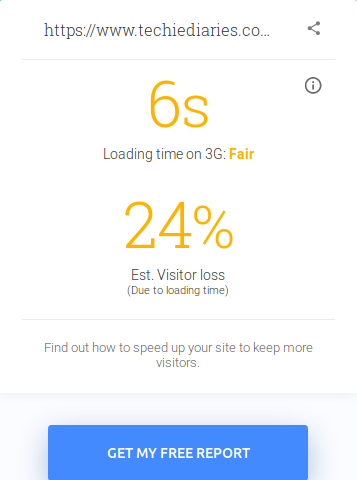 GTmetrix is an online tool that gives you insights into your website performance (fully loaded time, total page size, number of requests etc.) and also practical recommendations on how to optimize it. 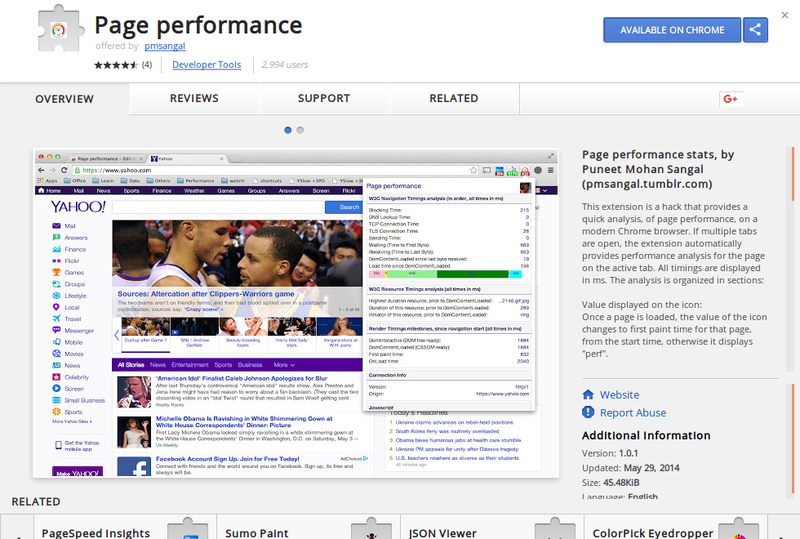 Page performance is a Chrome extension that can be used to run a quick performance analysis. If you have many tabs open, the extension will be invoked on the active tab. 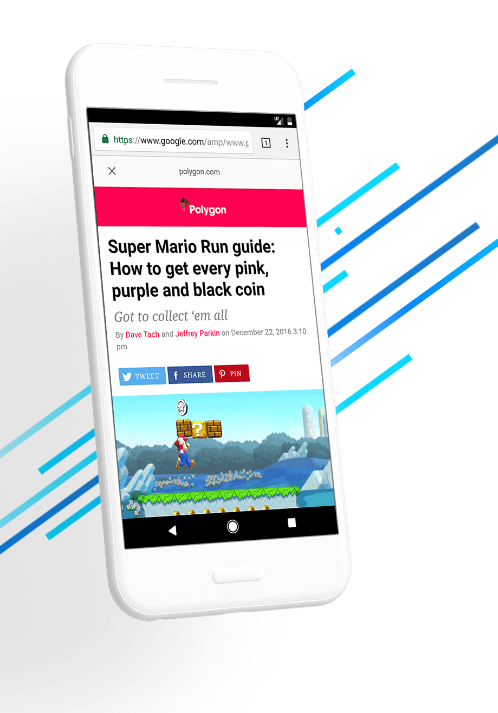 The AMP (Accelerated Mobile Pages) project is an open-source project that aims to make the web faster. The AMP project enables developers to create websites that are fast, high-performing and with great user experiences across all platforms (desktop browsers and mobile devices). AMP HTML: it’s HTML but with some restrictions to guarantee reliable performance. AMP Cache: a content delivery network for caching and delivering valid AMP pages. You can use tools such as AMP Validator or amphtml-validator to check if your pages are valid AMP pages. Once you add AMP markup to your pages, Google will discover them automatically and cache them to deliver them through the AMP CDN. You can learn from here how to create your first AMP page. 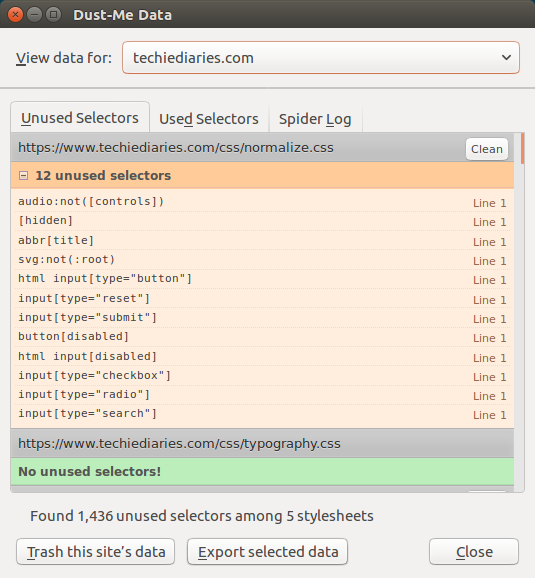 Dust Me Selectors is a browser extension that can help you discover and remove the unused CSS selectors in your web pages. It scans all style sheets, then organizes the found selectors into used and unused selectors, which will tell you exactly what CSS is used or not used on the scanned page. Penthouse is a critical path CSS generator that allows you to get the required CSS for rendering the above-the-fold content of a specified page. You only need to specify your website’s full CSS file and a target page. There’s also an online version of this tool available here. For an improved, paid service for this tool, make sure to check out this one. Critical can be used as a CLI tool or can be integrated with build systems such as Gulp. ImageOptim is a free and open-source app for Mac that optimizes images for size. It’s also available as a paid online service. Pngcrush is a free and open-source PNG optimizer available for Windows and Linux. Trimage is a cross-platform and free tool for losslessly optimizing PNG and JPG files. Apachetop is a tool inspired by top and based on mytop which can be used to monitor the performance of your Apache web server. It can be used to display current numbers of writes, reads and requests processed. Make sure you have the permission to read the log file. Ngxtop is a top-like tool, based on Python, that parses your Nginx server access log and outputs important metrics such as active request, total requests by status code, top remote IPs and average bytes sent in real time. Ngxtop can also be used to parse Apache access log. Ngx-top: an alternative to Ngxtop built using Haskell. Luameter: a commercial Lua module for Nginx that provides key performance metrics for monitoring Nginx in real time. Uptime-cli is a CLI tool for monitoring your website’s uptime with the Uptime Robot API. Tuning-primer is a modern MySQL performance tuning Bash script for MySQL version 5.5 or above. It’s based on the MySQL performance tuning primer script version 1.6-r1. MySQLTuner is a script written in Perl that analyzes your MySQL server performance, then shows you recommendations based on the information it finds. These recommendations are simply the tuning of the configuration variables (found in /etc/mysql/my.cnf file) to make MySQL’s server work more efficiently. Mytop is a top-like CLI tool for displaying MySQL server performance by connecting to the server and periodically running both show processlist and show status commands. It then summarizes the information. SQLBenchmarkPro is a free cloud service that can remotely monitor your database and SQL Servers for small and big businesses. It works by installing an SQLBenchmarkPro agent locally, which continuously monitors the performance and health of your servers. Apache JMeter is an open-source tool built with Java by Stefano Mazzocchi of the Apache Software Foundation. It can be used for load testing and for performance measurements. Since JMeter is built with Java, it’s available under all major platforms such as Windows, Linux and macOS. Make sure you have Java installed, then head over to this page to download JMeter. You can then start JMeter, either in GUI mode, server mode or command-line mode from different scripts in the bin folder. Grinder is a load testing framework built using Java that can be used to run distributed load testings with many load injector machines. It’s an open-source tool available a BSD-style license. You can use Grinder to load test anything from HTTP servers to SOAP services and REST APIs, but also application servers of CORBA, RMI, JMS and EJBs etc. You can flexibly write scripts for the Grinder framework using powerful scripting languages such as Jython and Closure. Find more information from the official SourceForge page. Grinder is available for free download from SourceForge.net. 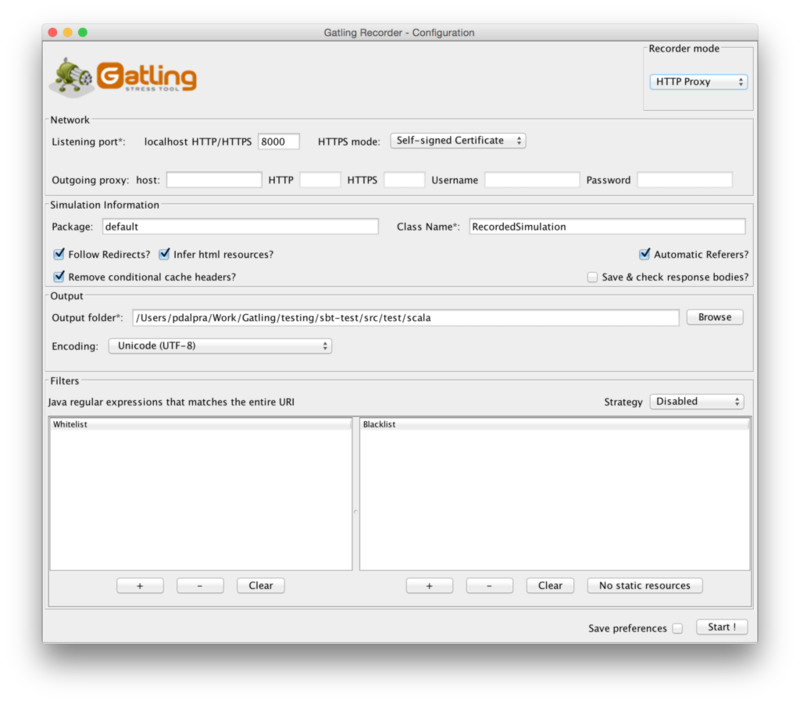 Gatling is a load testing tool that you can use to load test your web application by simulating thousands of requests per second using a few machines. Gatling can be scripted using the Scala language and a simple DSL language that can cover most of your needs. You can download Gatling from the official Gatling website, then simply unzip the bundle and run the tool from the various scripts in the bin folder. This list is far from complete, so if you have any preferred tool(s) for analyzing or tuning the performance of your web applications, ping me on Twitter!